JRCO has manufactured quality innovative attachments for the outdoor power equipment industry since 1975. The commercial attachments are front-mounted and all attach to the JRCO mount bar with clevis pins. 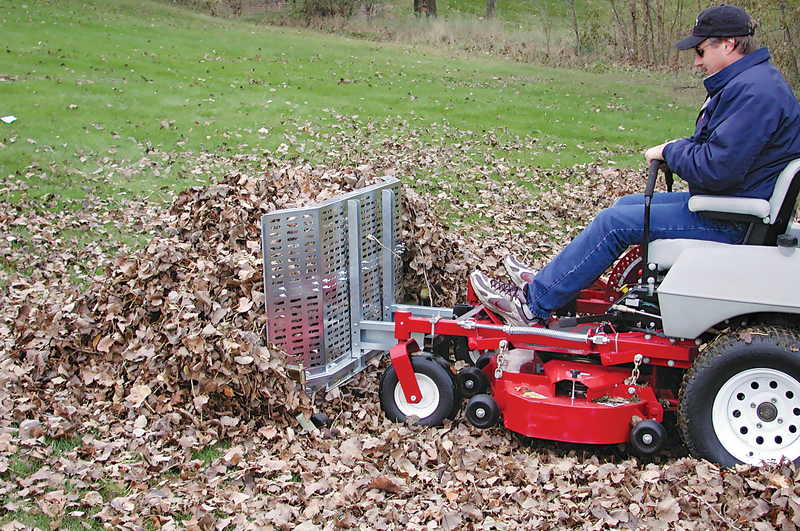 These attachments increase productivity for the lawn care professional by saving both time and labor. JRCO offers a limited 90-day warranty for commercial use. JRCO attachments are sold only through power equipment dealers. Please call us toll-free at 1-800-966-8442 for your nearest dealer.